Asia is fast becoming a market that technology firms, particularly those operating in the mobile content space, are increasingly keen to target. China is now the world’s largest smartphone market, Japan and Korea are among the world’s hungriest consumers of mobile content and the rest of the continent is seeing impressive smartphone adoption growth, led primarily by Android. That’s developing into a significant addressable market, which was recently highlighted when Asia (minus China) became Facebook’s most populated continent with 241 million registered users. However, as well as attracting the interest and attention of Western firms, so the Asian ecosystem is producing companies of its own which, having gained significant traction or saturation within their respective markets, are broadening out and aspiring to grow internationally. Given said-significance of mobile in Asia — phones are tipped to become the primary platform to access the Internet for the majority — it’s of no surprise that the continent has birthed a number of mobile-focused services which have grown sizeable followings. While Asian hardware firms (like Samsung) and telecom groups (like SingTel, Bharti and DoCoMo) run global businesses, the continent’s digital and content firms have not broken international barriers – yet. The times are changing and, with Asian entrepreneurs gaining more experience and seasoned Western figures moving to, or taking an interest in, the continent, a new wave of companies has the potential to disrupt worldwide markets, and potentially make it big in the US. Here are six services based in Asia which we think have the potential to strike it big Stateside. What is it: A mobile voice and text messaging chat service for Android and iOS smartphones, and the Web. WeChat is arguably the up and coming mobile service in Asia. Tencent, the Chinese Web giant behind the app, revealed this month that it has now surpassed 200 million users, that’s double the (significant) 100 million landmark that it reached just six months prior. That’s testament to the speed at which it is gaining a following in numerous countries. The instant messaging application has already done the difficult, and won out as the top choice in China. Having defeated early Chinese pace setters, like TalkBox, Tencent is eyeing international markets and the simple yet sophisticated service, which rivals established companies like WhatsApp and Skype, is available in more than 12 languages – including, of course, English. Southeast Asia and the Middle East are the immediate priorities for WeChat, but a fuller push into the US seems inevitable, although Tencent declined to comment on its plans for the country. In WeChat, Tencent might finally have a product that can translate its huge market presence in China — where its Skype-like QQ chat system is the standard — into US success. In its favor, the mobile chat app space is one that is open to competition. No single app has won over the US mobile messaging space and, going on Asia — where consumer usage of such apps is most advanced — users accept fragmentation and a need to install multiple clients, for now. As one of the Internet’s biggest earners, Tencent has significant funds to continue to develop and market WeChat into to new markets and user demographics. In Southeast Asia, it is working with celebrities, local distributors and gaining visibility at high-profile events to help seed the app, and its deep pockets would help fund a similar but larger scale US push. With Tencent’s billions backing it, WeChat has a big advantage over its rivals — many of which are smaller startups — in that it doesn’t have the same need to monetize its service or satisfy outside investors. That allows the company to focus on the service, rather than rushing out money-making features or systems that can affect the user experience. As it happens, Tencent has made progress on monetization and WeChat has adopted an opt-in marketing system that allows brands to register an account to offer push updates to users that choose to ‘follow’ it. Nike, Cadillac and Starbucks are three international firms that have signed-up in China, where they are helping raise awareness of the app as they bid to develop their audience of fans there. Gaining similar big brand support is further factor that could see WeChat gain visibility in the US, particular if brands use the platform to provide attractive offers and other benefits for fans. Then there’s the app itself, which offers a range of features, from basic text messages, voice calling, HD video calling and more. It is packaged as a simply and nice looking service, that’s in contrast to others which can feel cluttered, with new features appearing to be tacked-on as after thoughts. For now, there is no word on whether or when WeChat will be pushed in the US, but, interestingly, I’ve observed that a number of founders and tech figures already have the service installed on their phone. There’s no breakdown of figures based on regions but we can assume that, like Sina Weibo — ‘China’s Twitter’ — WeChat has gained the attention of the Chinese/Asian diaspora in the US, but it has the potential to grow much further. US telecom equipment makers Huawei and ZTE are currently subject to a Congressional investigation over their potential to spy on the national government on China’s behalf. While some of what attention appears fairly irrational and is aimed at system-level services, it isn’t clear whether US authorities would be uneasy with the prospect that a consumer-focused service from China had found mainstream US adoption. Tencent is well established in US tech circles, with an active VC presence in Silicon Valley and a strong portfolio of investments. That, and the fact that WeChat is aimed at consumers, and would not gain access to the ‘innards’ of America’s communications, should keep it clear of any knock-on effects of the ZTE-Huawei issues. Description: Like WeChat, a mobile messaging and calling service that also contains elements of social networks, such as ‘walls’ and status updates. The use of mobile messaging apps have exploded across Asia this year, and Line is another popular service leading the charge. The app has only been available for one year, but it has already crossed 65 million users, the majority of which are based in Japan. Line was created by Korean giant NHN (formerly known as Naver) through its team in Japan, which makes the app a hybrid of the two countries. Despite its illustrious parent, Line is yet to dominate Korea where rival KakaoTalk boasts an impressive 90 percent installation-rate on smartphones. Line is pan-Asian and the firm has placed particular emphasis on Southeast Asia. It released a BlackBerry app and it is adding local content for Thailand, Indonesia and other countries. As well as the Middle East, China and the US are next on the company’s list, although trouble and unrest in the former following the Japanese government move to buy a set of disputed islands has affected Japanese businesses and may see Line hold-off on its China push. The company has been very open with its intention to grow in these two colossal markets, but, when I talked to executives in Bangkok earlier this year, they admitted that the product remains very ‘Asia-fied’ and lacking local US content, something it is working to change. Line’s major differentiator to WeChat is the social network-like framework it is building around the core text and voice chat features. In an ambitious move, Line introduced a content channel (‘Line Channel’) to allow Line users to play games and use apps and other media through the service. It has also added a number of Facebook-like features, including profile pages and walls. The construction of these additional features is akin to a content delivery system to help bring in revenue. Details of Line’s plans for the US remain unclear, since NHN is holding off on communicating specifics, but the company will localize the content on its platform which includes ‘stickers’, Line Channel-apps and the similar marketing channels for brands that WeChat offers. There is a danger that Line is doing too much. WeChat, for example, integrates Facebook into its app, aiming to use the social network to its advantage by providing another outlet. However, Line’s social features are entirely separate to other sites and that could see them less likely to be used – since they become just ‘another social network to update’. 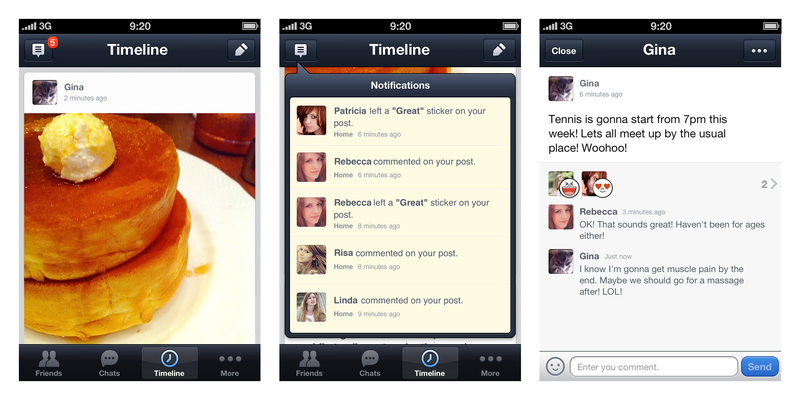 The flip side to that being that the social layer makes the app more ‘sticky’ – but it is too early to call. Backing: GREE is listed in Japan, Q2 2012 revenues of $575 million. Description: GREE runs a mobile social gaming service that allows users to play games on their own, with and/or against friends and other users. GREE is one of a number of companies that have emerged from Japan’s mobile-centric consumer Internet habits. The company’s product is a gaming platform for mobile devices, which allows users to play a range of titles with all the benefits of social, such as instant messaging, chat, 2-player gaming, etc. The company has been eyeing international markets for some time, having established a strong and profitable base in Japan. It bought high-profile games platform operator OpenFeint for $104 million in April 2011, and in the summer of 2012 it released a beta version of its worldwide service which combines the OpenFeint platform with that of its own. The majority of games on its global platform are globalized versions of successful Japanese titles. While that strategy has worked well, it is investing to grow its US development team. To that point, it bought games developer and publisher Funzio for $210 million this year, and has opened a design studio in San Francisco, announced plans for another in Vancouver and, just last week, it bought a Bay Area-based game development studio which had been a long-time partner. The firm recently went public with financial figures to illustrate the progress it is seeing in the US. The American business hit $16.87 million in second quarter revenues, that was up 38 percent on the previous quarter’s $12.15 million – albeit that those figures included Funzio revenue pre-acquisition. Zygna and others have pioneered the concept of social gaming, to the point that it is now accepted that women, older people and other demographics that were once not synonymous with gaming, are a core focus for developers, publishers and advertisers. Mobile is the next stage — particularly given the strong adoption of smartphones in the US — and GREE is well placed to cater to that growing market. GREE has financial muscle, thanks to its long-time profitable domestic business, and we’re likely to see it continue its aggressive push into the US and Europe, where it recently set up a London-based headquarters. Throw in a large marketing budget, the potential to bag well known titles and publishers, and it isn’t hard to see how this company could threat the gaming establishment on its own doorstep. Description: A mobile social gaming service — Mobage — that allows users to play games on their own, with and/or against friends and other users. DeNA is GREE’s chief rival in Japan and both companies have been operating a land-grab style approach to growing their international presences, with the US a market that the duo are very much attacking. Like its competitor, DeNA has a local presence in the US which it obtained when it bought Ngmoco, an American games publisher and developer, for $400 million in October 2010. Though it roots go back further, and it snapped up development studio Gameview a month prior to Ngmoco. DeNA’s Neil Young, who co-founded Ngmoco, believes that GREE is the company’s biggest adversary in the US, as he told Inside Social Games earlier this year. DeNA has bagged some impressive deals for future content, and that includes a tie-in with Disney and an agreement that grants exclusive use of the Transformers franchise – two that are sure to appeal strongly to very different demographics in the West. Not everyone is optimistic of the potential for DeNA and GREE to succeed abroad. Japan-based social gaming expert Serkan Toto explains (in this presentation) that the odds, and past history, is stacked against the firms succeeding. Given the significant capital both companies have sunk into their US operations to date, and likely future plans, we fully expect that the duo won’t be holding back and will do everything they can to provide any doubters wrong. 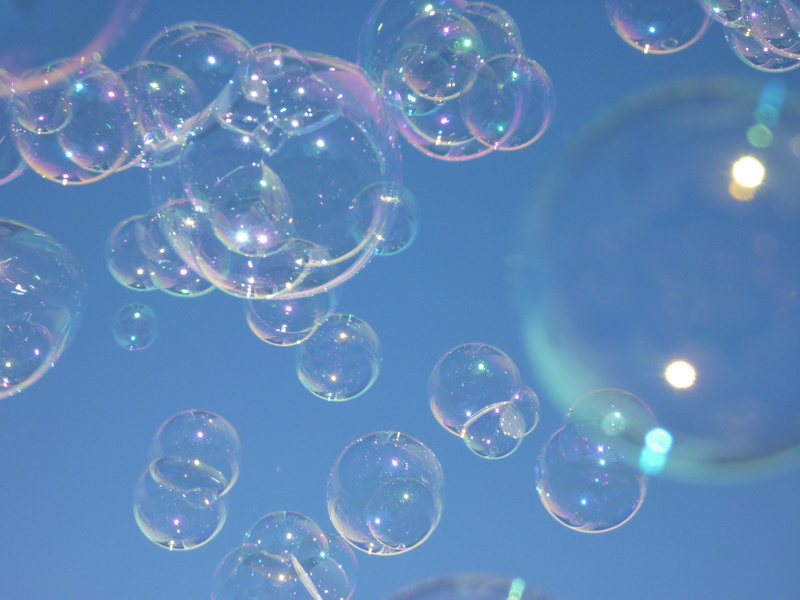 Backing: Bubble Motion not listed, has received $50 million in funding from a range of investors including Accel, Sequoia Capital, Jafco and Singtel Innov8. Description: Dubbed ‘Twitter for voice’, Bubbly is a mobile-based social network that lets users communicate using voice recordings — ‘bubbles’ — and text-based messages. The first of our wildcards, Bubbly, already has a strong presence in Asia. The firm is strategically located in Asia, where it has some 50 staff although CEO Tom Clayton had originally envisaged moving it back to the US when he joined in 2007. Clayton is proud of the talent base the company has recruited and he recently told TNW that he believes Bubble Motion has a ‘Valley-class’ team, which was no easy feat doing, he says. The firm maintains impressive connections — having landed $50 million in funding to date — and investor Sequoia Capital installed the former White House policy maker and BEA Systems GM as CEO. Bubble Motion’s business model is primarily built to scale in emerging markets, where it can be used on feature phones using a shortcode system, but this year the company released apps for Android and iOS, bringing its potential to new demographics and markets. The base of its 19 million registered users is in Asia, and on feature phones, but — with Japanese investor Jafco now on board via a recent $5 million investment — Bubble Motion has its eyes on the US and Europe, via Hollywood. Clayton believes that, with celebrities increasingly turning to social media to reach fans and build relationships, Bubbly — which hooks up to Twitter and Facebook — is a medium that will appeal to entertainment industry stars. Bubble Motion continues to push its service in Asia, and Japan in particular, where celebrity users have served it well. In addition to raising awareness of Bubbly and user traction, the service monetizes by offering access to premium, celeb-led, content for a small monthly subscription. Clayton admits that the service will be localized to better fit with US consumer consumption and expectations but, given the enthusiasm that publishers, studios and other powerful entertainment industry influencers are finding for social media, Bubbly might just add an extra layer than celebrities and the US public find attractive. Backing: Not listed, investors include 500 Startups but details unknown. Description: A Soundcloud-meets-Twitter music service that allows artists to publish songs on to the streaming site and promote the content via the 140-character microblogging service. Very much the underdog on this list — in terms of financial backing, history and user numbers — Twitmusic may not be an obvious choice to pick out when it is arguably still to win over Asia, where it has made progress but remains relatively unknown. However, the Philippines-founded firm has a distinct advantage in that it is already active in the US, care of the most recent 500 Startups program. No funding news has been communicated but, going on the program and the firm’s AngelList page, McClure and a number of others have already invested and they will have enjoyed access to a larger number of contacts and networking opportunities. The company has made progress since we wrote about it in March. Founder Stefano Fazzini recently met with the management team behind Snoop Dogg (now Snoop Lion), and a flurry of artists have signed up of late, including Bryan Adams and Jon Secada. That’s on top of existing worldwide names like Lil Wayne, Jason Mraz, Duran Duran, Carly Rae Jepsen and Fedde Le Grand. As of June, at the 500 demo, Twitmusic had signed up more than 8,000 music artists and was seeing 200,000 plus page views per month. It’s most recent numbers have rise to 12,500 artists, and 1.5 million page views. Unfortunately timezones and schedules got in the way of my opportunity to talk to the startup — which is obviously much in demand — but Fazzini told me earlier this year that there are plenty of plans afoot to grow the service. Mobile apps have tremendous potential and are planned. Getting artists on board is the priority, as content is king, and Twitmusic is working hard to market its potential to artists, who can soon expect to get a suite of very powerful analytics to help them identify how their songs have been received. That’s something the founders think will be hugely valuable and, as a paid-for service, it will generate revenue meaning that users will always enjoy Twitmusic for free. “We want to grow the content and, in the long term, once we have enough content we can to shift to become the ultimate discovery tool, using real-time and fresh and new content from Twitter,” head of artist services Sandra Seifert told me back in April. A number of other big companies and innovative services are going great guns in Asia and looking to expand their horizons, these six companies are just our selection of the cream of that crop. 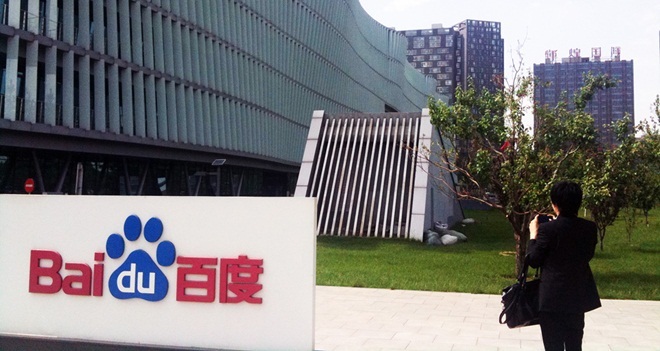 Baidu is another firm eyeing Southeast Asia, which is a popular first port of call for a number of Chinese Web service seeking to diversify outside of the country. The search giant has opened a Singapore-based language development center which will develop technologies that will help the firm launch locally relevant services in new countries. Yet already Baidu has experimental presences in a number of markets worldwide. This year it introduced its Tieba forums in Vietnam, while its Hao123 link-list directory site, which is also active in the country, opened in Brazil and there is a version in Thailand. Its services also extend to North Africa, where its Baidu Answers site is localized and active in Egypt. Though Baidu is listed in the US, it is currently focusing most of its attention developing its presence on mobile in China; for which it has developed a cloud-based Android ‘add on’ service, which will enable device owners to use a range of its services natively, and it just launched a speedy Android browser. That push just got a whole lot bigger as Baidu announced it is to spend $1.6 billion developing a new cloud computing center. We spoke to a Baidu company representative who told us the company hasn’t launched anything and hasn’t announced plans for any products for the US at this point. Given the company’s financial prowess, and the fact that it is already looking global, the firm is likely to have plans to grow its US presence beyond the China diaspora – but for now it is getting its own house in order. China’s Opera-like browser maker UC Web has been considerably more public about its aim to grow in the US. The firm says it will consider a US-based IPO, that’s despite a recent streak of troubled tech IPOs, not to mention the flagging performance of existing Chinese firms on US markets. UC Web dominates China’s mobile and desktop browser space, while it is making strong progress in India and other emerging markets. The US being a tougher place to grow in, an IPO is seen as a way to raise visibility and credibility there. Mobile is the focus and the firm plans to develop a localized product and work with local advertisers and partners. Given that third-party browsers are not massively popular in the US, it remains to be seen just what impact kind of an impact UC Web can make. India’s startup scene got a sizeable boost last week, when 500 Startups and Seedcamp threw their support behind a new early-stage startup accelerator program — GSF India — but, to date, the country is yet to deliver a global tech firm. Amazon-like Flipkart is arguably the company’s best example of a home-grown Web firm but, the global appeal of India’s technology scene is bringing with it international opportunities for related startups. Dhingana and Saavn are two music services that have global audiences as part of their 10 million plus userbases. Dhingana recently began serving ads and recruited Facebook’s Gokul Rajaram — a key figure at the social network — as an advisor. It remains to be seen how the two services, and Bollywood video sites, such as Hulu-like Spuul, can perform in the US where their content is popular but remains a niche for mainstream users. One Asian entertainment-focused company that has made a mark on the US is Viki, the video site that serves up content from across the world — and Asia, in particular — using crowdsourced subtitles. Viki has struck deals to supply content to Hulu and YouTube but, with 12 million monthly viewers worldwide, it is a complementary rather than competitive player. My personal thought is that WeChat could be the one, of the six, that makes the most progress in the US — thanks to the brilliance of the app, its ease of use and Tencent’s financial clout — but there’s no doubt that the Japanese gaming duo are increasingly rivalling Zynga, which itself is a household name. As ever, let us know you’re thoughts and any companies and services that we’ve overlooked.